Australia’s Primary School fun fitness & multi-sport experts! 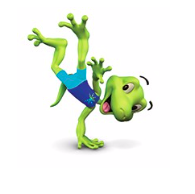 GeckoSports offer kids a fun and interactive start to sport and fitness for life. We give children the inspiration and confidence to be more physically active and try their hand at playing different sports through our scientifically designed Primary school aged programs. With over 10 years of experience, we love working with local communities all over Australia having fun with kids in sports and fitness! Help us promote the importance of health and wellbeing and get kids more active. Australia's Primary School fun fitness & multi-sport experts! Indemnify, will keep indemnified and hold harmless GeckoSports, to the extent permitted by law in respect of any claim as a result of or in connection with a GeckoSports program. I warrant that my child has not at any time suffered blackout, seizure, convulsion, fainting, dizzy spells or any other medical condition and is not presently receiving treatment for any illness, disorder or injury which would render it unsafe for my child to take part in a GeckoSports program. I have read and I consent for my child to participate in a GeckoSports program and understand the risks involved and further agree to be bound by the GeckoSports Code of Conduct and operating rules outlined in the Privacy agreement and contract of membership. I acknowledge that GeckoSports uses its best endeavours to ensure that the equipment and sporting facilities used in the program are safe and fit for purpose and acknowledge that all sports are inherently dangerous. I have voluntarily read and accept the inherent associated risks. "GeckoSports" means all directors personally and in their capacity as a director, partners of directors, agents, and any representatives of GeckoSports. "GeckoSports Program" includes all programs and activities that you or your child participates in during our classes/events. This includes but is not limited to any organised sport, training, facilities and activities provided by GeckoSports. Classes timetables are subject to change. While GeckoSports uses its best efforts to operate classes as per the timetable published on our website, in some instances changes are required due to unforeseen circumstances. No guarantee is made that classes will run 100% as per the advertised timetables. Any changes to the advertised timetables will be communicated to those affected prior to the commencement of the class/event. Wet/cold weather: outdoor sessions will be moved to an indoor or undercover location if it rains and or is extremely cold (below 5 degrees). Where an alternative location is not available the session will be postponed or cancelled. The cost for a cancelled class due to weather cannot be reimbursed. Hot weather: children are to attend outdoor sessions wearing a hat, sunscreen and bring a drink bottle. Where sessions run for over an hour we will provide additional sunscreen. In the case of extreme heat any outdoor classes will be moved to an indoor or undercover location or may be postponed or cancelled. Indoor venue sessions without air-conditioning will be cancelled if the temperature reaches extreme heat (over 32 degrees). The cost for a cancelled class due to weather cannot be reimbursed. To enable our business to remain successful we need to have guidelines on refunds. This is mainly due to venue hire and operational expenses to run our classes/events. Parents and or a Guardians are not required to be present for the duration of each class. We encourage parents to drop off your child and return to pick them up when the class finishes. We value the importance of a child’s independence that helps to support their confidence and growth. However if you would like to stay and watch you are welcome. Some locations and classes are also suitable for parents/adults to join in and participate in the class, in this instance we ask that adults be aware of their ability beyond a childs and ensure they act safely and harmoniously. We highly value the benefit of parents supporting their child in their health and wellbeing development. From time to time your child may be photographed or filmed on video whilst undertaking a GeckoSports class/event. Such footage might be used for promotional purposes, including but not limited to reproduction on the GeckoSports website and social media platforms such as Facebook, Instagram and YouTube. By joining and/or paying for a GeckoSports program you hereby agree to such use by GeckoSports. Parents are not to take videos or photographs that include other children without the permission of said parent/guardian. It is prohibited for food to be consumed during any GeckoSports class, however longer duration programs such as holiday classes or parties may require snack and or lunch to be included. Some of the facilities we operate in have strict policies where food cannot be consumed on the court/venue. Any child found to be consuming food during a class will be asked to leave the venue immediately. Our classes are structured to include drink breaks so children must bring a water filled drink bottle with them to each class. Where children attend a GeckoSports party or holiday program they are to abide by the instructions of the venue/program requirements advised. *Terms & Conditions last updated July 2018.